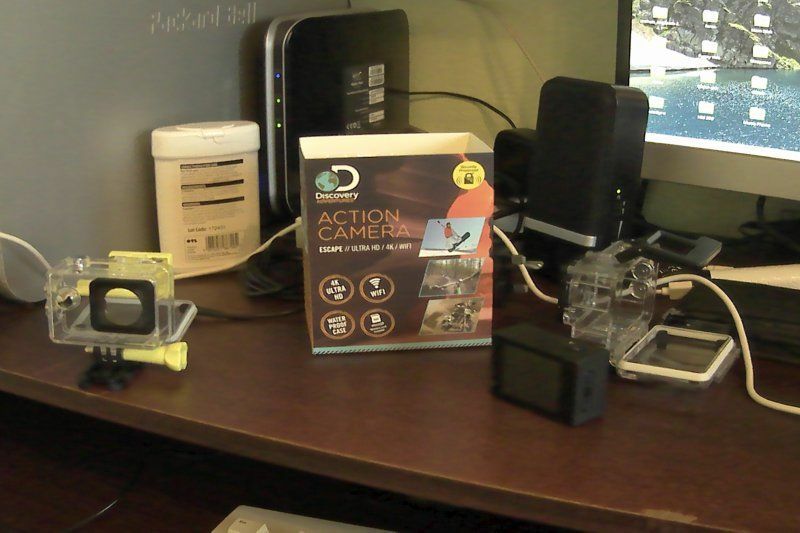 I bought one the other day from Morrison ( Discovery Action Camera Ultra HD/ 4K/ WIFI ). The market seems to be a flood with look a like GoPro Action cameras . I bought one from BM for £25 1080p and it is crap came with a load of extra accessories . So i was sceptical when the one in Morrison states it`s 4K. It`s NOT it is 2.7K doubled or if you read the small print it is ( interpolated ) but as i only wanted a good 1080p action camera i took my chances and bought it. And so far it seems to be ok at 1080p 30 fps as i have tested it as a dash Cam . I have yet to test it for the purpose which i bought it for , I like the fact that i can connect to it via my phone so that i can check it is looking in the right direction when it is on my cap. This is a picture taken by the camera indoors low light and then the picture has been resized. One word of warning wait until the blue light has stopped flashing before you press any buttons as that means it is saving . i have had to re format two SD cards due to the slow saving . The pictures and videos are much better outside in bright light. I had two things to test today One was my Sipa as i had a bad servo that would not Centre correctly. So i had fitted two new 9g servos. And this 4K camera so i decided to combine the two. It was a cloudy day and i took the video in 2.7k but had to reduce that to 1080p as it would not play at the right speed on my computer. So here it is make up youre own minds for a £40 Action camera. I did a recording at 2.7k but as my video editing software would not work on anything above 1080p i up loaded it straight to YouTube in the hope to post again for you all to see. Although it played on my computer at about half normal speed my video player reported that the video is 2688x1520. after uploading it onto YouTube. YouTube says that it is 1440p and as it was over 8 minuets long i decided to trim it using YouTube studio. But now is at 1080p after YouTube edit.